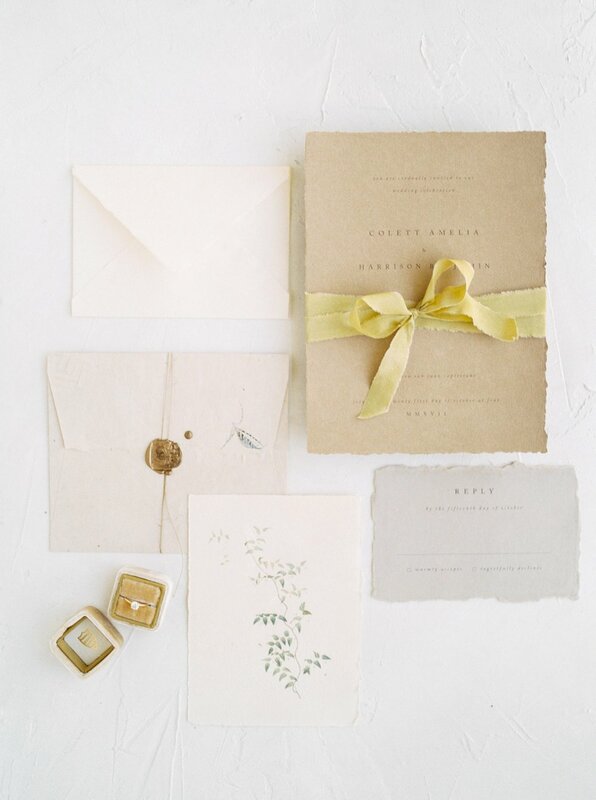 It’s not hard to see that the wedding industry is filled to the brim with (albeit gorgeous) neutral wedding palettes. 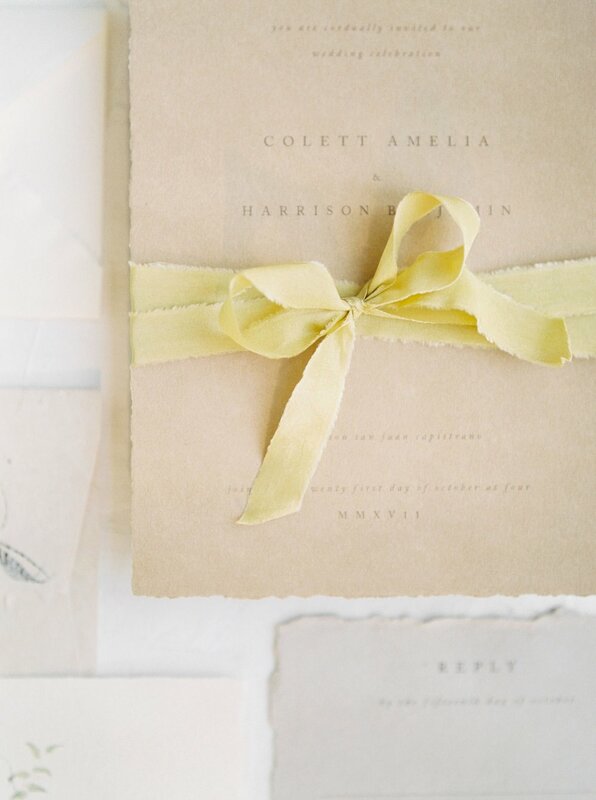 What’s truly a breath of fresh air is a unique pop of colour beautifully incorporated into a wedding colour scheme. 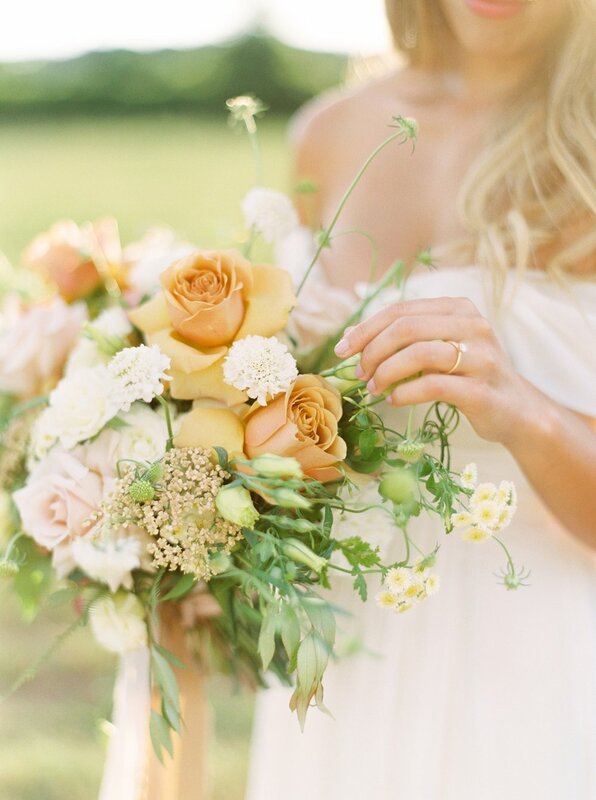 This amber and neutral editorial from photographer Kayla Yestal does just that. 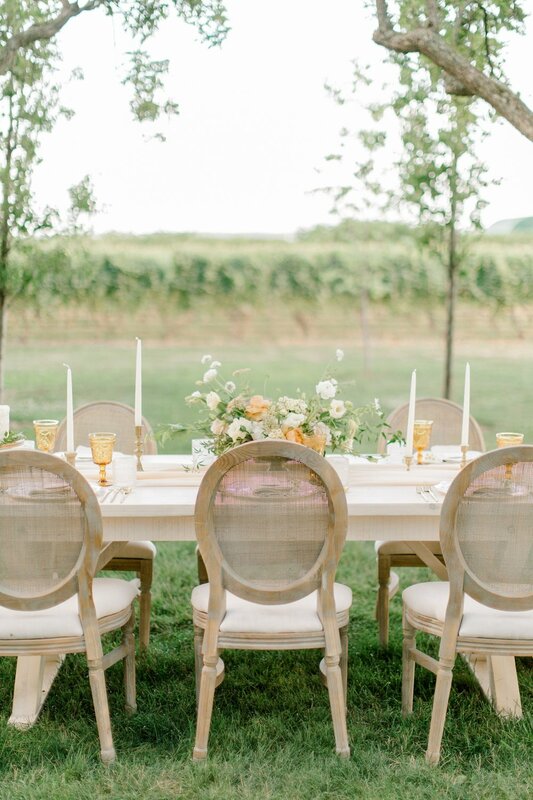 Her images have us dreaming of warm summer evenings strolling through the vineyards and candlelit al fresco dinners to the soundtrack of lively conversation. 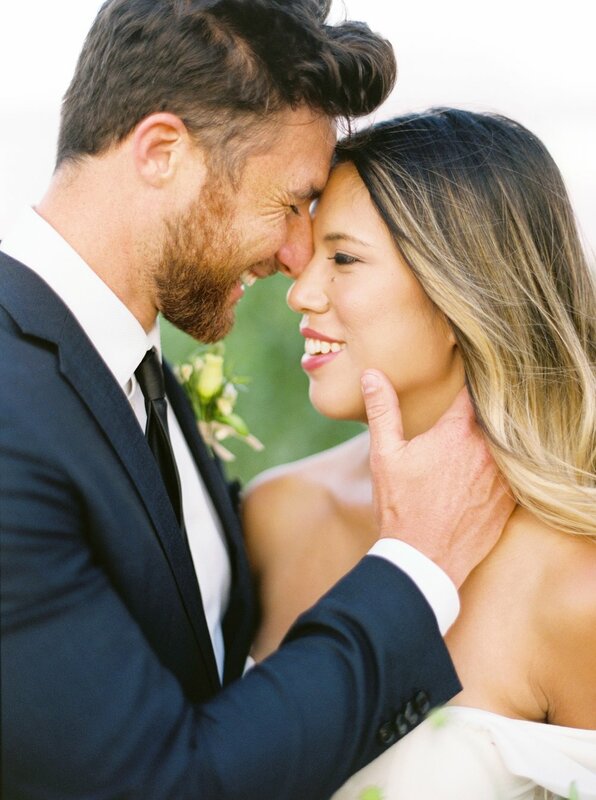 Danielle of Shaw Events creates this layered and vibrant vision of an intimate wedding at Gracewood Estates. We won’t blame you if you want to Pin each and every image from this post! 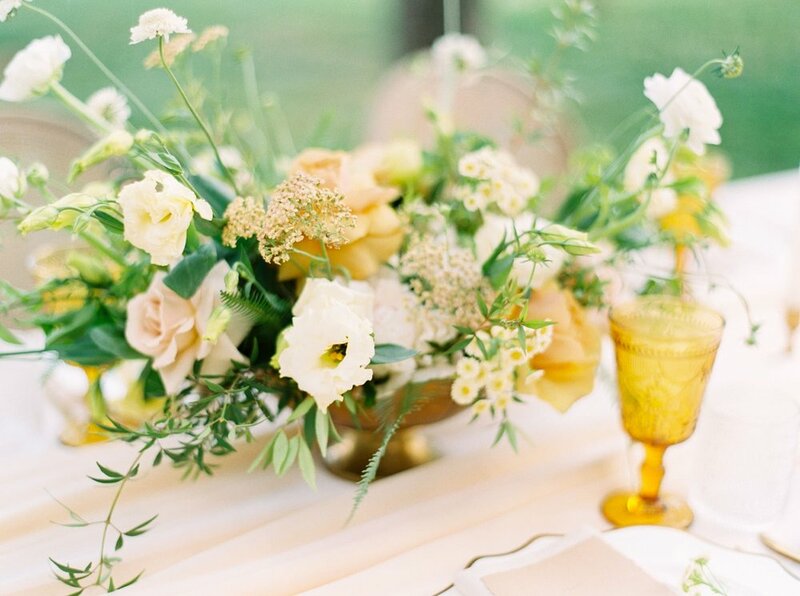 From the photographer: "Inspired by warm summer evenings, this workshop styled shoot was born entirely out of the idea of bringing in a golden colour palette that is oftentimes not the first choice of brides planning their wedding day. 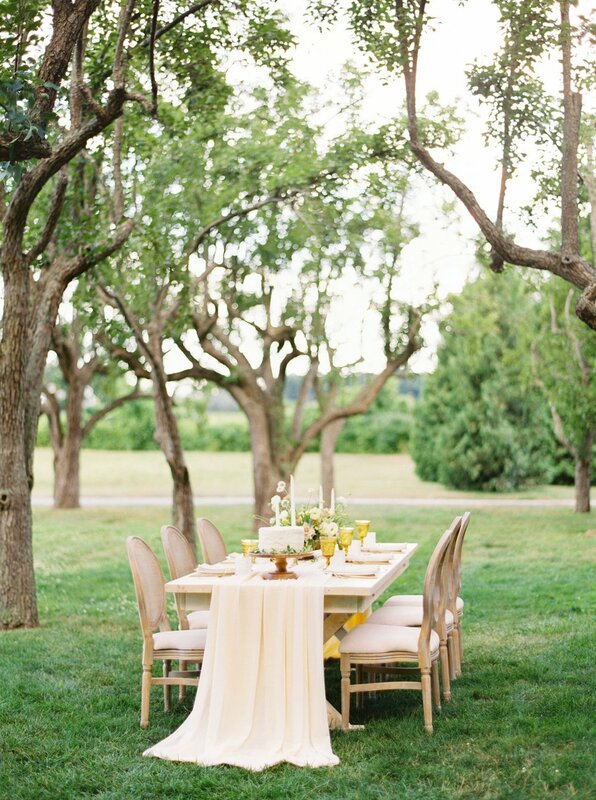 Danielle Shaw of Shaw Events set out to incorporate amber yellow tones alongside soft, creamy neutrals to ultimately created a vision of an ideal summer night in Ontario. Nestled in between the trees and grape vines of Gracewood Estates, an intimate tablescape set for six, and cozy romantic moments between our couple brought this idea to life in a way that was calm, romantic, and refined all at once. One of my favourite parts of working with Danielle is her incredible attention to detail that was really brought to the forefront with all of the stunning textural elements she brought together. Looking at the tablescape alone really shows this off in the best way! 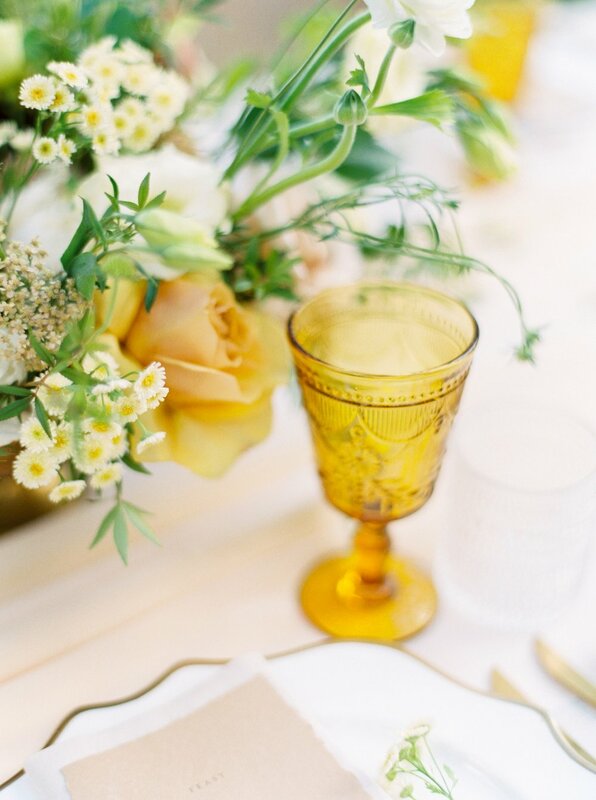 The shape and feel of the floral design is perfectly complimented by two layered chiffon runners from Simply Beautiful Decor, the most delicately calligraphed place cards from Flourish Calligraphy, and a lemon poppyseed cake from Howell's Bakery that almost acts as an art piece on its own. Looking back, I feel like this shoot became such proof to me that an unexpected pop of colour can truly be the best choice for your event design! 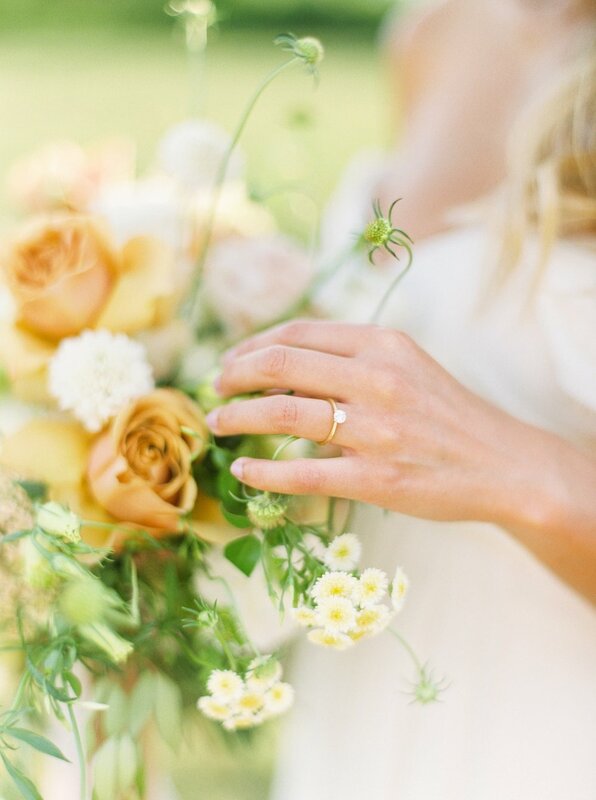 I hope that this inspires at least one bride to be a little more fearless with their colour palette and to incorporate something that they haven’t seen done before!"